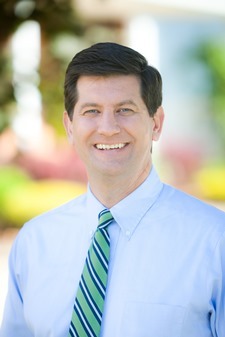 AMHERST, N.Y. -- Erie County Executive Mark C. Poloncarz will discuss his economic development plan and its impact on the Buffalo Niagara region at the Daemen College Distinguished Leaders Lecture Series event scheduled for 3:30 p.m. Aug. 28 in the Wick Campus Center’s Social Room. His lecture, “Initiatives for a Smart Economy 2.0: Focus on Inclusion,” is free and open to the public. The county executive’s plan builds on his economic development initiative released in 2013, entitled “Initiatives for a Smart Economy,” which identified 64 initiatives in Erie County to help support economic growth in the region. He will talk about the updated plan in conjunction with other state and federal economic development efforts to identify opportunities in both urban and rural areas. Poloncarz took office as Erie County’s eighth county executive in 2012, after serving for six years as county comptroller. Before running for public office, he practiced corporate and finance law in Buffalo. Poloncarz earned a law degree from the University of Toledo’s College of Law and a bachelor’s degree from the University at Buffalo. The Daemen Distinguished Leaders Lecture Series brings top government and public officials and business leaders to campus to share their unique perspective on critical state, national and international issues. It is sponsored by Harris Beach PLLC, a major New York-based law firm with offices in Buffalo, Rochester, Syracuse, Albany, Ithaca, White Plains, New York City and Long Island.